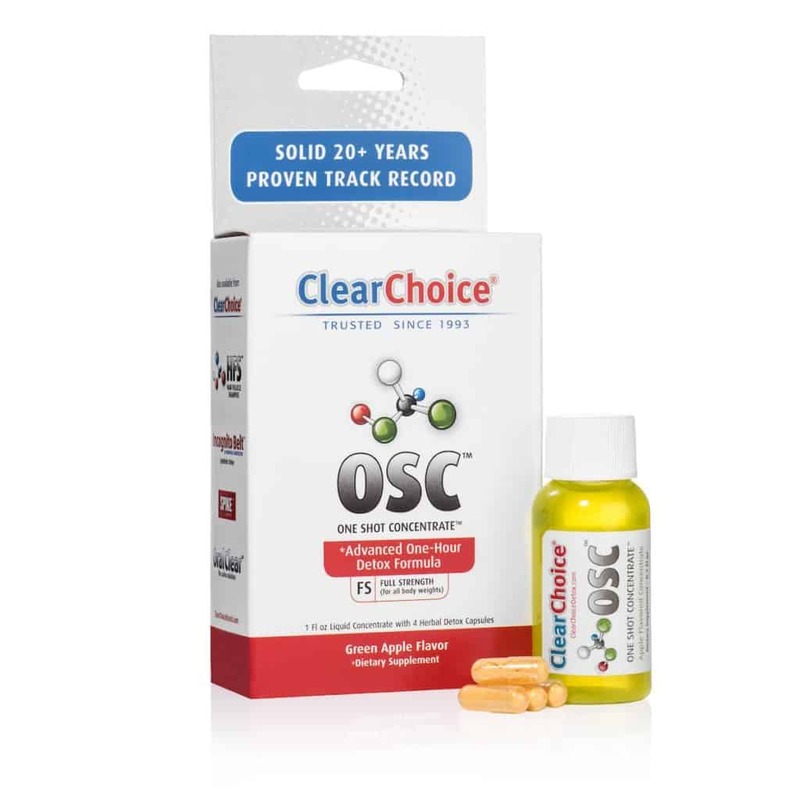 Clear your drug test by using Clear Choice One Shot Concentrate. ✓Avoid all toxins and unnecessary medications for at least 72 hours before your deadline. ✓For regular users of herbal toxins, avoid toxins for at least 14 days. ✓Do not eat or drink 4 hours before using this Clear Choice product. ✓Allow 60 minutes for the One Shot Concentrate to become effective. ✓For best flavor, refrigerate Concentrate before opening. ✓Shake well then drink entire Concentrate as quickly as possible. ✓Immediately after consuming the Concentrate, take two of the Herbal Detox Capsules with a 16-ounce glass of water. ✓Wait 15 minutes then take the two remaining Herbal Detox Capsules with a 16-ounce glass of water. ✓Urinate frequently to remove toxins. Continue to avoid food and beverages. The One Shot Concentrate will become effective one hour after taking all of the Herbal Detox Capsules and you will be in the Clear Zone for up to five hours. Click here to read more about body and drug detox.